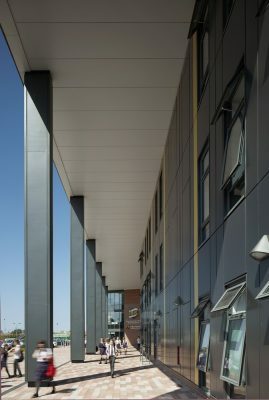 AHR has completed the 9500 m2 Rhyl High School in Denbighshire, Wales. 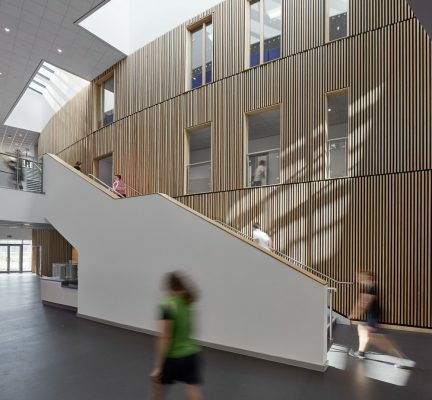 Operated by Denbighshire County Council, the £23 million facility offers 1245 places, including 45 places for Ysol Tir Morfa, a community school that caters for pupils with a wide range of additional learning needs. 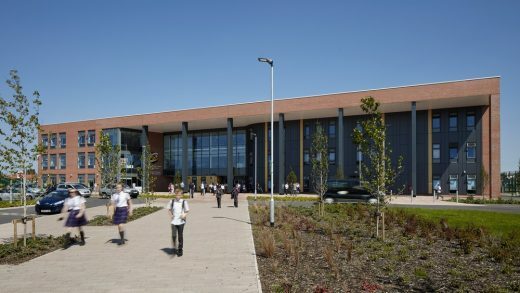 Robert Hopkins, Regional Director at AHR said ‘We are proud to have collaborated on this unique building which reflects how closely we worked with both schools to design every last detail. 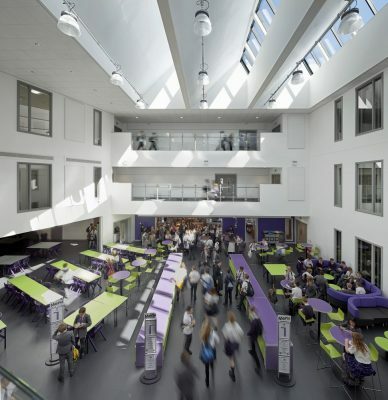 There has already been a huge increase in applications for the school, demonstrating a significant improvement in academic offerings for the students from Rhyl High School and Ysol Tir Morfa’.